If you are the owner of a sports touring motorcycle then you are bound to appreciate the freedom and adventure of jumping on your bike and setting off, not always with a plan of your destination. With motorbike manufacturers making their touring motorbikes more comfortable they are becoming an increasingly popular way to discover new places, all you need is a touring motorbike, some clothes and adequate motorbike insurance. 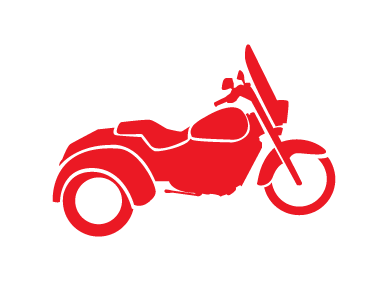 Bikesure have kept up with this demand and offer high quality touring motorbike insurance to meet your needs, ensuring that yourself and all your belongings are covered so you can make the most of travelling the roads. Adventures are what tourer motorbikes were made for, but if you are waiting for nice weather before setting off on the ferry over to France and further afield to get the best experience, then waiting longer to sort European insurance can be infuriating, thankfully if you take a policy out with Bikesure you can be covered for up-to 180 days for an individual trip in Europe with unlimited trips during your policy. Many insurance companies will neglect to adequately cover your panniers and their contents, Bikesure understand that to enjoy your touring motorbike at it's best you will need to carry a fair amount of luggage, which is why we fully cover your panniers and your tourer bike's accessories. A worry for many who travel far from home on their touring motorbike is the risk of breakdown whilst abroad. With Bikesure you can cover yourself against this by adding breakdown cover to your touring motorcycle insurance policy, this includes European cover and will repay any costs incurred in getting yourself and your motorbike home. Being insured by Bikesure will give you the confidence to set off and enjoy the best of owning a touring motorbike, the only decision you need to make then is where to go. Speak to a member of the Bikesure team on 0800 369 8580 to receive a quote that is specific to your touring motorcycle requirements. You can also get a quote online or request us to call you back at a convenient time. I ride a large touring motorcycle, and getting cover for the bike itself was no problem. But it wasn't until I contacted Bikesure that I was able to get cover for both the bike and my panniers and accessories under their dedicated tourer insurance scheme, which gives me up to £1,500 cover for accessories. Kelvin is 45 and has just bought a 2003 Honda ST1300 Pan European for £4,500. 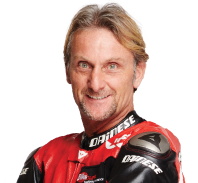 He's an experienced rider, and has held a full licence for 20 years and can't wait to set out on some adventures. He lives in Taunton (TA2 postcode) and has one year's no claims bonus available to use on this policy. He is looking for fully comprehensive cover for his bike. Kelvin's rate is just £105.00 for comprehensive protection. 39-year-old Kerry is from Midsomer Norton near Bath (BA3) , and loves her 2011 BMW K1600GT, which she's owned for one year, and which is worth £10,000 or thereabouts. Kerry has held a full motorcycle licence for three years and has earned two years' no claims bonus which is available to use on this policy. Kerry covers around 5,000 miles per annum on the bike and likes to explore with company, so she requires pillion cover. Kerry's rate is just £282.68 for fully comprehensive cover.